Sometimes a little update to an old classic is in order. 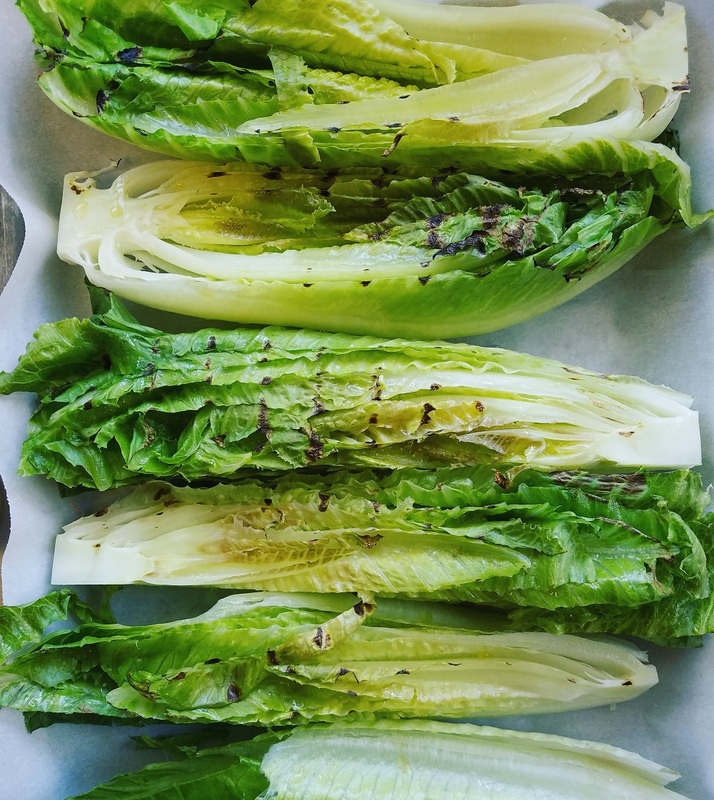 My recipe for these Grilled and Chilled Romaine Hearts with Simple Caesar Dressing is perfect for a Late Summer/Early Fall meal out on the patio. Try this recipe out at your next BBQ and it's sure to impress even the most finnicky of salad eaters. Pre-heat your grill or grill pan to high to heat the grill grates as much as possible. Reduce heat to medium and place romaine hearts cut side down onto the grill. Allow to "grill" for 30 Seconds until lettuce has grill marks. Remove lettuce form grill, place onto plate or sheet tray and allow to chill. To prepare you dressing, place all ingredients into a small mixing bowl and whisk. Season generously with fresh cracked black pepper and a dash of salt to taste. When romaine hearts are chilled, serve grill side up on a chilled plate, with dressing served over the top. Garnish with crouton and parmesan cheese.